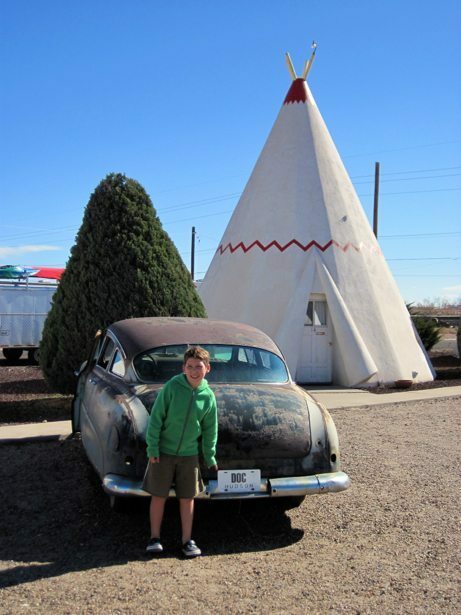 Thanks to all the CARS movies, Hunter has been intrigued with Route 66 for a few years. 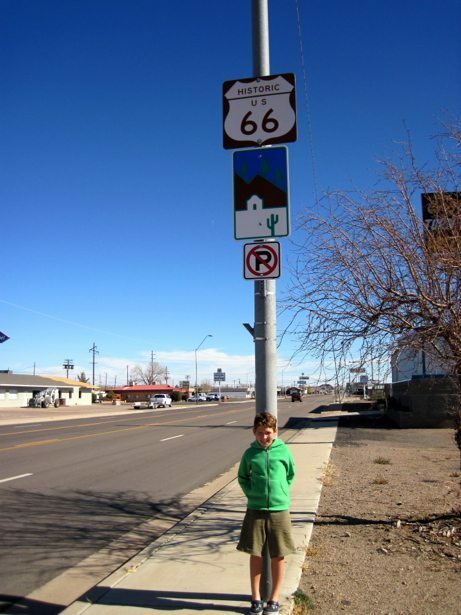 When we first mapped out our 8 months, he asked if we would be driving on Route 66. He and I looked up the historic route from Chicago to LA and I didn’t think we would end up near it. He was disappointed but we moved on. After deciding to hit northern Arizona for the mountain biking in Sedona, we realized that we could end up driving on parts of Route 66. We were all excited and pointed out the signs as we drove by them when they coincided with the interstate. This was all we expected. Due to some construction on the Interstate next to Petrified Forest National Park, we chose to get off the Interstate at Holbrook and drive through the park from south to north. For the entire trip, Hunter has been joyfully WHACKING Tim and I for every “punch buggy” that he sees. 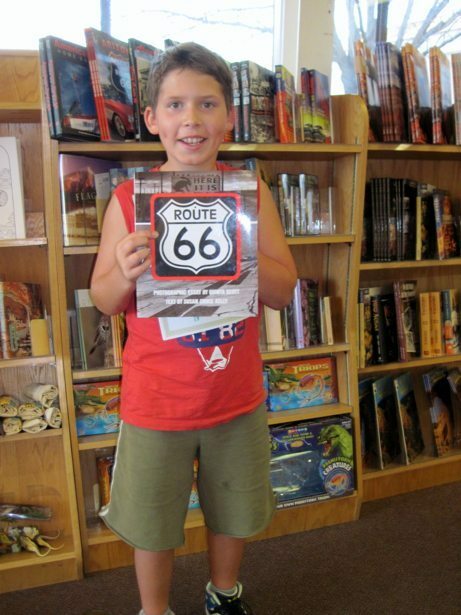 So far, California was the motherlode… We drove into Holbrook and noticed the historic Route 66 signs on all the buildings and were excited. 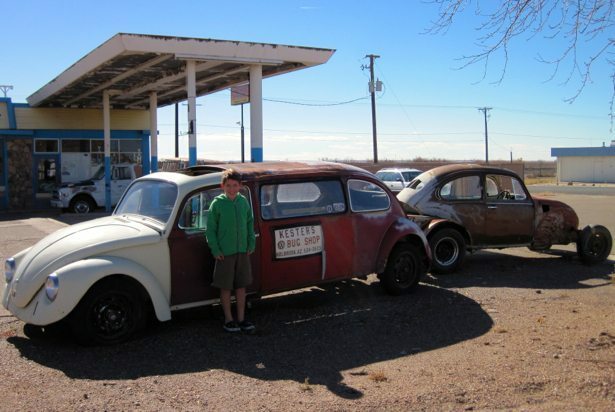 Tim then jerked the truck over to the side of the road and started yelling out Punchbuggy colors while hitting (gently of course) Hunter… It was a VW repair shop and even had a Bug LIMO and a Bug CAMPER! We got back in the truck and drove another 2 blocks and came to a halt a second time – Wig Wam Village (AKA the Cozy Cone Motel from CARS). 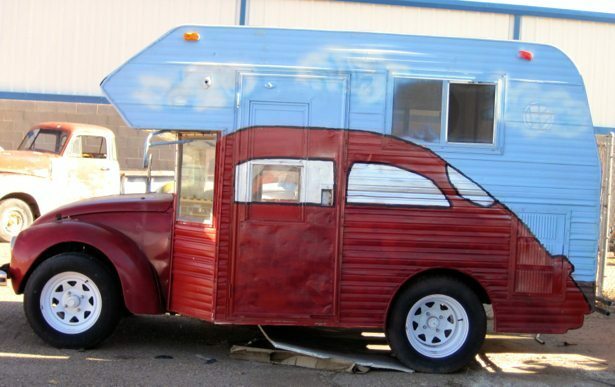 It came complete with a Doc Hudson Flyer!! !